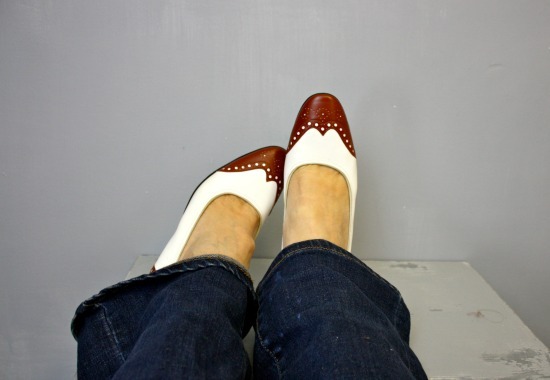 While I've always been a bit crushed out on the classic beauty of a good spectator shoe, I must say I felt a bit speechless when I discovered that these vintage spectator pumps by Red Cross Shoes fit me like a glove. The practical mid-heel means you can actually walk around in them, and the faux leather makes them easy to wipe clean and maintain. You might say they are a pretty great deal too. I'll try to stay mum on the subject. Oh Yah...I'm kinda swooning for those shoes too! They're gorgeous!! Not surprised they sold, gorgeous shoes! 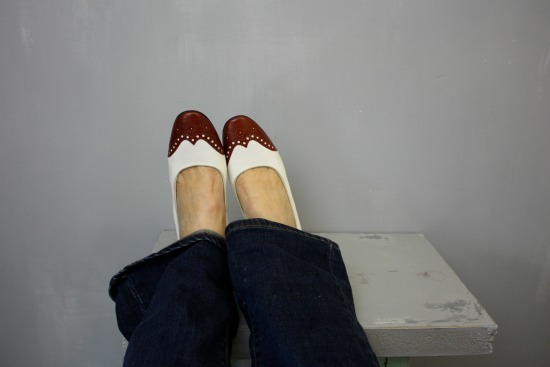 I used to have the perfect black and white spectator pumps! Too bad I don't still have them. Cute look!